Are You in Need of Serious Help? Preparing for college takes serious financial planning. Most students rely on a carefully balanced combination of scholarships, grants, loans and personal savings to meet their college tuition costs. Unfortunately, no amount of planning can guard against every contingency, and there are times when a student’s financial circumstances can suddenly change. A major illness, the loss of a job, or a family tragedy can all derail a student’s college career. Not only emotionally, but financially. When financial circumstances take a turn for the worse, many students feel they are left with only one option. Leaving school, and abandoning their dreams of a college education. However, there are financial aid programs available that can help students in difficult circumstances hang on to their college ambitions, and ride out the current financial storm. These emergency financial aid programs exist to help students recover from unexpected financial difficulties, and to avoid the last resort of abandoning a promising college career. Emergency financial aid for college students comes in a variety of forms, and addresses a number of different circumstances. Keep in mind, this is aid for students in extreme circumstances, or in a time of crisis. It does not apply to students who have not adequately planned for their financial needs. Emergency financial aid may come in the form of short-term loans or grants designed to help students remain in school when the completion of their college education is threatened by financial circumstances that are out of their control. Whether it’s a death in the family, a sudden major illness or the loss of reliable income, quitting school may not be the only option. If you are a college student facing a financial crisis, try not to panic. Remember the importance of your college education, and how hard you have worked to get to where you are. Before you consider quitting school, consider the emergency financial aid opportunities that may be available to you. Emergency aid is only available in extreme circumstances, and students will be expected to meet stringent criteria in order qualify. Typically, applicants must be full-time students, with an acceptable minimum GPA. Students applying for emergency aid will also be required to provide adequate documentation of the crisis leading to their need for emergency funds. Students considering emergency financial aid should understand that these programs offer limited help. They are only a stop-gap in a crisis, not a secondary form of college funding. Colleges and universities often offer emergency financial aid to students in good standing who are facing an unexpected financial crisis. As with any campus-based financial aid, emergency aid programs will vary from school to school, and will be subject to available funds. Students who have found themselves in extreme circumstances should visit their college’s financial aid office to find out what types of emergency aid is currently being offered. The following examples are typical of the types of campus-based emergency financial aid available to college students in crisis. Ithaca College in New York State offers two forms of emergency aid. Students who are facing a financial shortfall may request an Aid Advanceon any expected grant or scholarship payouts. In other words, if a student has scholarship or grant money forthcoming, and will have a credit balance after all tuition fees have been paid, the college may provide an advance on that balance to be used for unexpected expenses.Ithaca also offers the Ebsary Loanfor students in extreme circumstances. This is an interest free loan that must be repaid by a specific date, and can not be bundled with any other outstanding student loans. Rackham Graduate School at the University of Michigan offers two emergency aid programs for its resident graduate students. The Rackham Graduate Student Emergency Fundprovides up to $2500 in emergency financial aid to students who encounter a crisis situation or unforeseen expense. Applicants must supply a detailed statement describing the nature of the emergency, a budget detailing the amount of funds required, and a letter of support from their department head or the dean of admissions.Rackham Graduate School also administers the Center for the Education of Women Critical Need Grant for undergraduate and graduate students, including parents and returning female students who are faced with unexpected financial challenges. Pasadena City College offers campus-based Short-Term Emergency Loans to its enrolled students. Loans are available for unexpected expenses, books and supplies. Loans are typically processed within 24 – 48 hours, and must be repaid with 30 days. Austin Community College supports a campus-based Student Emergency Fund for currently enrolled students. Circumstances covered include loss of housing due to natural disaster, sudden significant medical expenses and death in the family. To be eligible, students must have completed at least 15 credit hours, and must have a minimum 2.0 GPA. Maximum awards are $500 per student, and are not renewable. The University of California-Berkeley supports a number of Emergency Loans for both undergraduate and graduate students. These short term loans are available to students in good standing who are faced with sudden, and unforeseen, financial need. Students who meet the stringent eligibility requirements may receive between $775 and $1300 in emergency funds. Loans are interest free, and are due within 60 days of disbursement. Many colleges and universities will also offer tuition waivers and fee deferments for students who face an unexpected financial crisis. Students are encouraged to contact their college’s office of financial aid for details on programs which may benefit them in an emergency situation. The Dreamkeepers and Angel Fund for Emergency Financial Aid is supported by the Lumina Foundation for Education, and is administered at more than 30 community colleges across the country. The program was designed to help students avoid dropping out when faced with unexpected financial difficulties. Situations covered by this program include childcare, healthcare, housing and minor car repairs. To be eligible for Dreamkeepers Emergency Financial Assistance students must have completed a minimum of 15 credit hours at a participating community college, and must be in good academic standing. Students must submit a statement detailing their need for assistance, and will be expected to provide documentation of their financial need. Students who meet the programs requirements will be eligible for up to $1000 in financial assistance. The Dreamkeepers and Angel Fund is currently administered at 37 community colleges across the country, and students facing a sudden financial crisis should contact their school’s office of financial aid to learn whether or not their college participates in the program. As a last resort, students who are facing an unexpected financial crisis may wish to consider a short term loan from a bank or other private lending organization. Short term private loans can help students avoid dropping out of college, and stay on track for graduation. However, as with all private lender loans, students should not enter into any loan agreement lightly. Borrowing from a private lender, even in small amounts, should be a last resort when all other financial aid possibilities have been exhausted. Remember, private lender emergency loans will have higher interest rates than standard student loans, and are likely to have very stringent repayment terms. As always, use caution when considering any private lender loan. Students faced with a sudden family emergency, or an unexpected financial crisis, may feel that dropping out of college is their only option. However, there are programs in place designed to help students in exactly these circumstances. If you are faced with an unforeseen financial crisis, contact your financial aid adviser and discuss your situation. 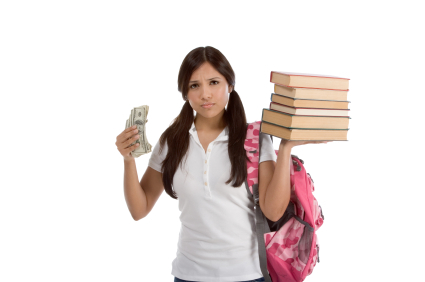 There may be financial aid assistance available that can help you avoid any unwanted interruption in your college education.